I was standing in a parking lot in Yellowstone National Park staring at a mess of gear strewn across the pavement. One thousand miles away in my apartment in Dana Point, Calif., that’s where it was. Because I didn’t double-check all of my gear before I departed for Wyoming, I didn’t realize the rainfly was in a stuff sack in my closet. So, during a 70-mile journey through the soaking Yellowstone backcountry, I struggled each evening to fold and shape a rectangular blue tarp into a dome-shaped fly. The word “origami” comes to mind. That wasn’t my first backpacking trip, but my failure to thoroughly check my gear was the type of mistake novice backpackers make all the time. And they don’t make mistakes because they’re dumb or careless. It’s because you can easily mess up when you’re doing something for the first time. Plus, it’s simply not easy to organize all the possessions you’ll need to leave civilization and explore unknown territory. If you’re new to backpacking, do yourself a favor and take heed of the following rookie mistakes. With a little knowledge, you’ll improve your chances of a successful first outing. I was actually lucky that I realized in the parking lot that I had left the rainfly behind, because I was able to duck into a general store and purchase a tarp. But, many novice backpackers don’t realize they’ve forgotten something until they reach their backcountry camp. To avoid this problem, create a gear list weeks in advance of your trip and begin immediately acquiring the items you need. Don’t wait until the last minute to purchase things, except maybe stove fuel if you’re flying to a destination. A week or so before you depart for your trip lay out all of your gear and supplies on the floor in your home. Then, check off each item on your list as you place it in your backpack. This will give you time to pick up things you may have forgotten about. Also, avoid washing clothes at the last minute, because things tend to be hectic right before a trip, and there’s a good chance you’ll leave something in the dryer. Before you leave civilization for the last time and go the trailhead, do one last shakedown of your gear. Several years ago I loaned a camping stove to friends who were heading to Alabama’s Sipsey Wilderness for their first backpacking trip. When they returned, they told me they had fun but confessed that they owed me a new stove. They hadn’t tested the stove before they hit the trail, and when it flared up while making dinner, they were startled and kicked it into the Sipsey River. While that did a great job of putting out the flame, the current carried away the stove, and they ate a cold supper. To avoid such a disaster, be sure that you know how to use every piece of gear before you hit the trail. It’s common for people to arrive in camp without having ever set up their tent, and they spend some very frustrating moments trying to figure out which pole goes where as darkness quickly descends. Keep in mind that you might arrive in camp not only late, but also tired, hungry, dehydrated, and not thinking clearly. It’s not a good time to learn how to use something for the first time. The most important thing to test before your trip is your hiking shoes or boots, especially if you’re wearing leather boots that you have to break in. You don’t want to discover during the first day of a trip that your footwear causes blisters. It’s a familiar scene for people heading out on their first backpacking trip: You planned to pull out of the driveway at 9 a.m., but two hours later you haven’t left yet, and you’re dashing around the house trying to find sunglasses, or some other important item. Then, you realize you forgot to put gas in the car. Once you’re finally on the road and approaching the trailhead, you lose your cell signal and make two wrong turns. Travel delays can have big impact on backpackers. If you arrive at the trailhead much later than expected, you’ll have less time to reach your first campsite. 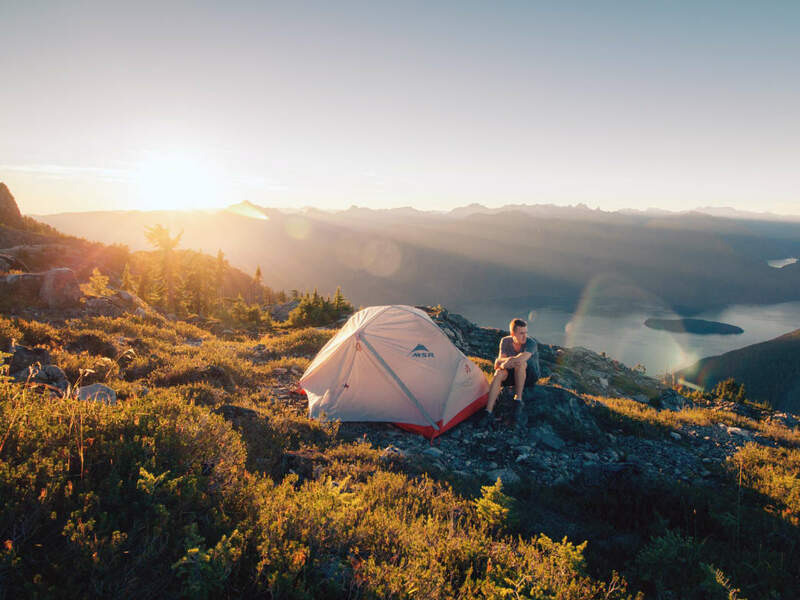 During the late fall, winter, or early spring, when the days are shorter, you could end up hiking and setting up camp in darkness, which is a pain, especially if you’re not experienced. To avoid this scenario, gas up your vehicle the night before the trip and load as much gear as possible. On the day that you plan to drive to the trailhead, wake up pretty early to give yourself buffer time in case you have to search for something you misplaced. 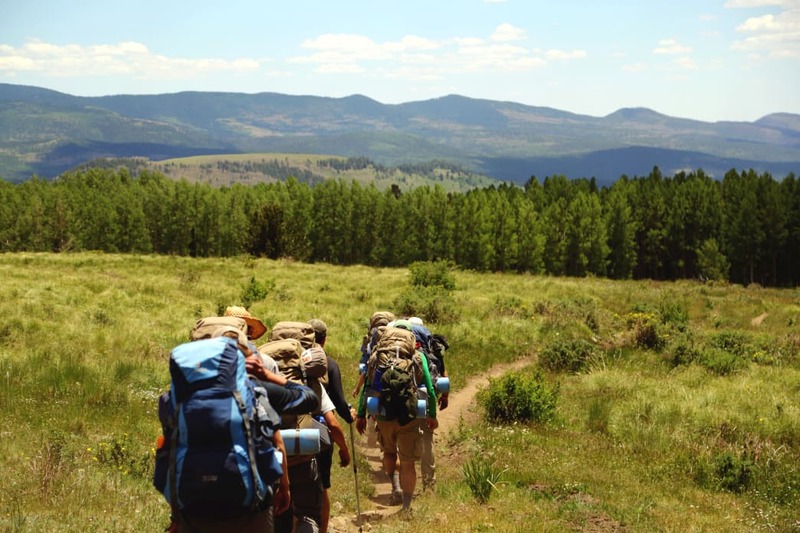 If possible, plan to hike only a few miles on the first day of your backpacking trip. If you’re delayed, you’ll still have time to reach camp at a reasonable hour. Another option is to drive to your general destination a day early and stay in accommodations relatively close to the trailhead. This will allow you to start hiking relatively earlier, even if you get sidetracked. During my first backpacking trip as a teenager, my buddies and I showed our overly ambitious hiking itinerary to the park ranger, and he said flatly, “You better eat your Wheaties.” Naturally, we ignored him, and we suffered so much we still talk about it today. One of the biggest mistakes beginner backpackers make is building trail itineraries that are too ambitious and don’t take into account physical abilities, difficult terrain, and high elevations. If your itinerary requires you to hike 10 miles each day and climb several steep hills, you’re going to be pretty worn out. 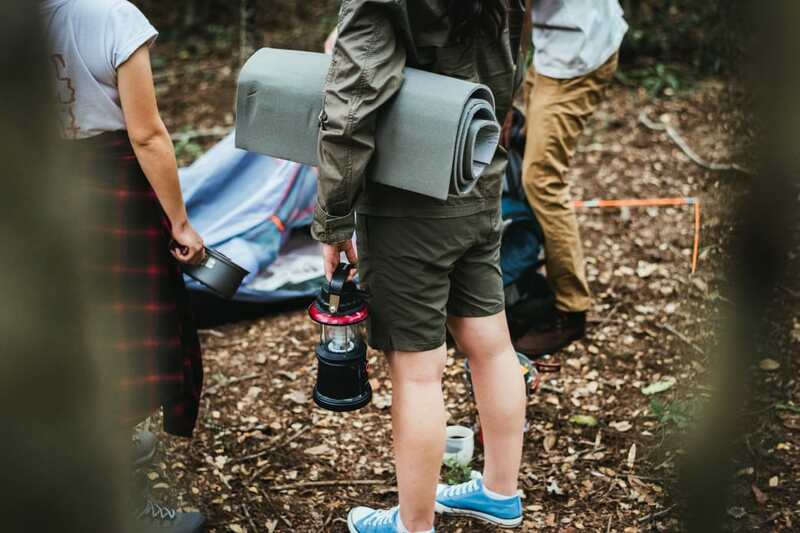 Plus, you’ll have little time to relax around camp and just enjoy yourself. If possible, hike a few miles the first day and gradually increase your daily mileage over the course of the journey. People who have been backpacking for several years will tell you they’ve made plenty of mistakes and learned many hard lessons on the trail. So, if you’re new to backpacking, there’s a pretty good chance you’ll have your own mishaps, and that’s OK. That’s part of the adventure. 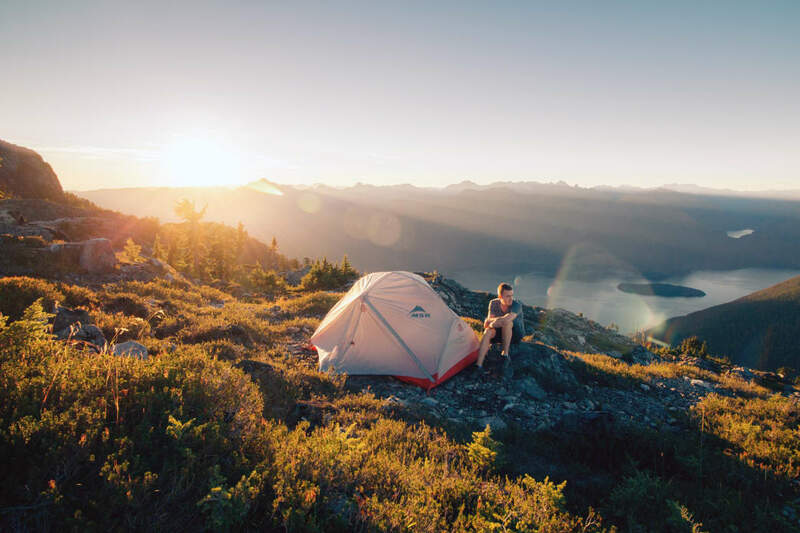 But, if you’ll heed the advice of experienced hikers, you can minimize your foul-ups and spend more time enjoying the wilderness rather than stressing over things that you left in your closet, or kicked into the river. Written by Marcus Woolf for RootsRated Media in partnership with BCBS of AL.